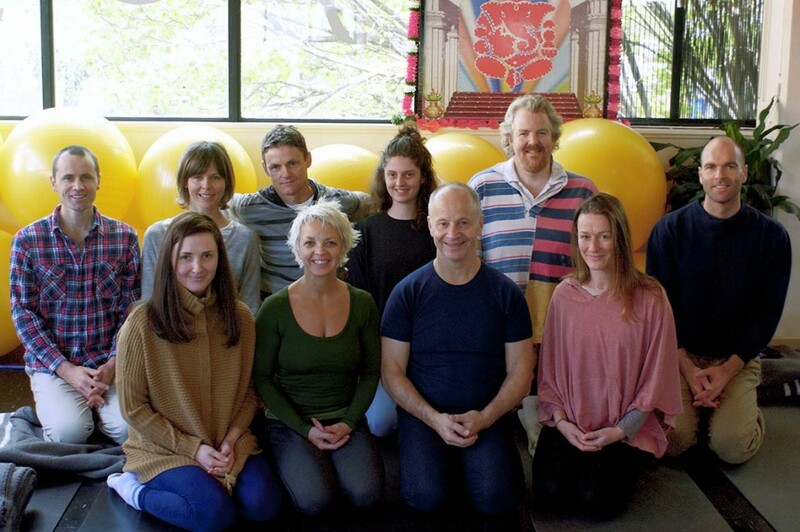 Yogareal is a community of yoga practitioners living in Melbourne and incorporating yoga into their daily life, and then providing that service for others. The foundation of Yogareal is service and love. People who come regularly to the studio and embrace that lifestyle undertake different roles at the studio to enable that love and experience to then be available for others. The different roles at the studio are endless and whatever is required “in the moment” – from working the blinds, lights, hosting on the desk, setting up the props or assisting-teaching and anything required with running the studio. All these roles are undertaken as service or Karma Yoga. “If you’re going to teach a person about themselves – which is yoga – then really most of your biases – the teacher’s biases – have to have been removed first. Otherwise, those biases will feed through from your teachings to the students. Because that will be the very essence of how you views things – yourself and the world. You only have something to teach when concepts and conditioning that you have collected have dropped – have gone. This state of freedom in oneself is only obtained by assisting your own teacher for a long period of time without wanting any recognition in any way. If you want something back, then that will definitely disturb and pollute your whole process of growth and knowledge you receive. The longer you maintain selfless service – Karma Yoga – the better. Wash dishes, sweep floors, help on the desk, usher people to their mat, demonstrate postures – whatever your teacher requires. This is really the foundation of any apprenticeship or real learning process. It implies then, that you’ve transformed yourself to be able to hold those teachings and they have then really become your life experience – how you view things and how you work. The teacher, however, will still retain their own individual personality, that’s a different thing. The transformative dimension in yoga is Karma Yoga and it should really be the major inherent part of any teacher-training program. It purifies a person’s perceptions and motives. Karma Yoga is essential, however it is not in most of the Yoga Teacher Training frameworks around these days, hence resulting in a tremendous loss in what is presented as yoga – there’s a lot more available than a few postures. A strong connection and commitment to Karma Yoga in my own situation, started from about 1979 onwards. I performed whatever was required of me – washing dishes for hours on end each day; serving thousands of ashramites their breakfast on a food line each morning in LA; I assisted with yoga classes in Los Angeles in 1980 for 6 months. In the Upstate New York Ashram and ashram annexes dotted throughout the Catskill Mountains building maintenance was my karma yoga – riding a bike round with a bag of tools on my back and repairing ashram accommodation. In Ganeshpuri, India I would clean out the cowshed daily from 2am to 5am for 3 months. In Deli and throughout India I assisted with audio and video work for about 3 months. Back in Melbourne I was involved with the Prison Projects at Turana Juvenile Justice Centre, Pentridge Prison and Jika Jika Maximum Security. 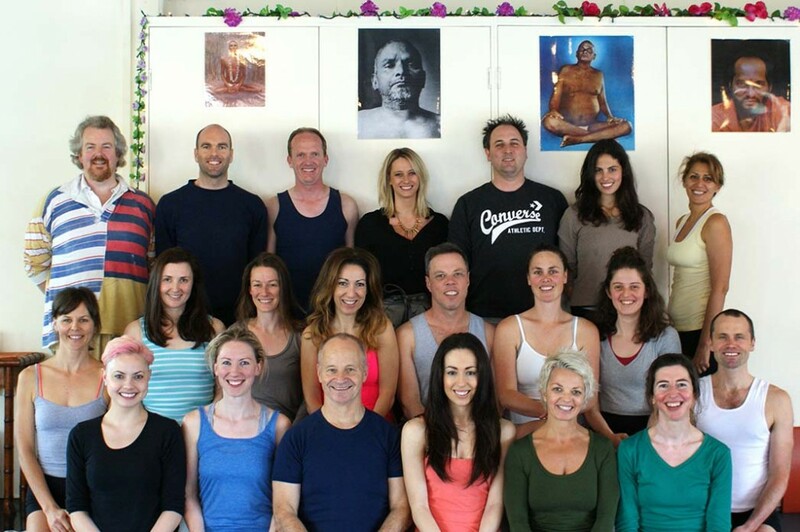 Throughout the 90’s I taught ongoing classes in many of the main Yoga Schools in Melbourne and at times ran particular schools for months on end as service – teaching all the classes at those schools.